NEW YORK, NY - The Big Apple presents significant opportunities for people from all walks of life, and in the case of Manhattan Soccer Club it’s hoping New York City will be a major sticking point as the club embarks on its first season in USL League Two. Manhattan SC has competed at the youth level for over 20 years, serving Manhattan and its surrounding boroughs as a top club in the Tri-State area. But it wasn’t until recently though that MSC opted to expand its reach beyond the youth level, and that’s where League Two came into play for Rich Corvino and Ray Selvadurai. 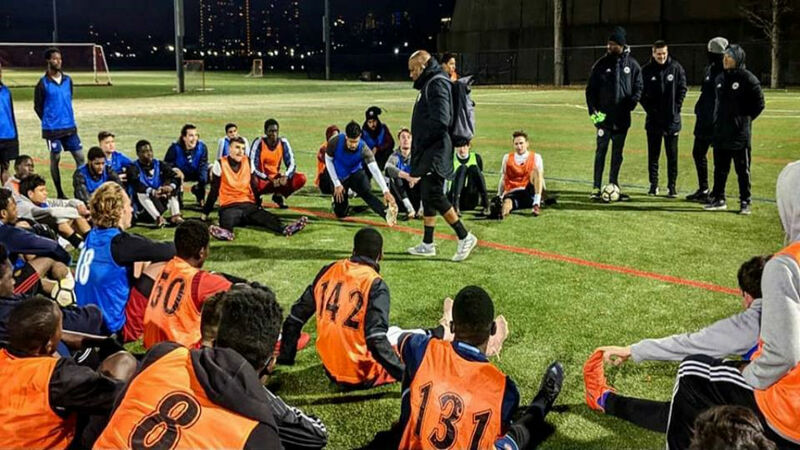 Corvino – the club’s Executive Director – and Selvadurai – Director of Coaching – got together in 2018 to discuss the future ambitions of Manhattan SC and the possibility of expanding the club’s reach. “It was really the only logical next step for us to take as a club,” Corvino told USLLeagueTwo.com. “Our goal has always been to utilize our great reach as an organization here at Manhattan SC to help better all of our players. “USL League Two gives us another opportunity to embed ourselves in the pre-professional aspect of the game while allowing us to help get these players to the next level. The league is not only great in its on-field product with the quality of teams, but also how well they are embedded in their communities. 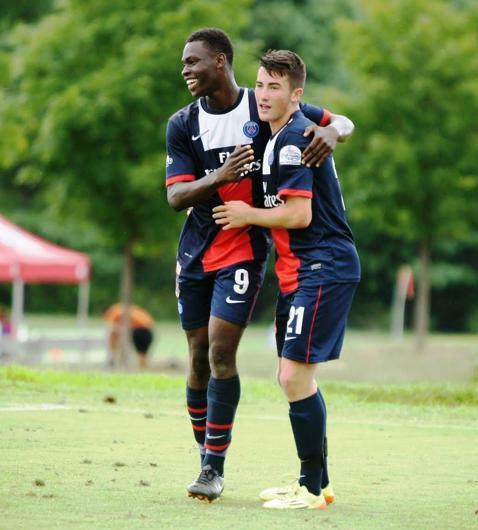 Manhattan SC has provided many young players with a platform to improve their game over the years, and with the club’s arrival in League Two it is utilizing a highly-trained coaching staff to further develop a new group of players. The club features over 30 professionally trained coaches, something Manhattan intends to use as a recruiting tool. On top of that it also has two quality facilities that they will use during the League Two season to host matches; Gaelic Park Field on the campus of Manhattan College in Riverdale and at Randall’s Island. “I think the staff that we have in place is something that we are very excited about,” Selvadurai said. “We’ve made it a point over the years at the youth level of making sure we brought in the best coaches to shape our players and give them the best chances to succeed. “As we continue that mission now at the League Two level it is all the more valuable to us as we look to bring in top-caliber players for our debut season. With Manhattan SC’s existing youth set up already in place as an added asset the club believes that it will have an advantage when it comes to building its League Two team in the future. It is a youth system that has packaged a number of players to the college and professional level, including Leeds United (on-loan from Manchester City) attacker Jack Harrison. Although often associated with its younger players, the club currently has many college-aged players competing for Manhattan, which gives the organization more options in filling out its roster moving forward. “We have always embraced the Path2Pro philosophy, and now that we’re a part of League Two it is really coming to fruition with this team,” Corvino said. “Manhattan SC has had many players compete for the club into their college and post-college careers, so this is a great opportunity for us to provide another outlet for our players. “We’re hopeful that we can use this team in the future as a way of saying to our youth club players that this is a place where if you work hard you can work your way up to the League Two team. And then from there, who knows?